Scott created these drawings in scratchboard В­ an engraving medium which evokes the look of popular art from the period of these stories. Scratchboard is an illustration board with a specifically prepared surface of hard white chalk. A thin layer of black ink is rolled over the surface, and lines are drawn by hand with a sharp knife by scraping through the ink layer to expose the white surface underneath. The finished drawings are then scanned and the color is added digitally. Two of Jack LondonвЂ™s best-loved masterpieces, in their entirety. Call of the Wild tells a compelling tale of adventure during the Yukon Gold Rush, and fully captures the unquenchable spirit of Buck, a kidnapped dog trying to survive in the harshest of environments. 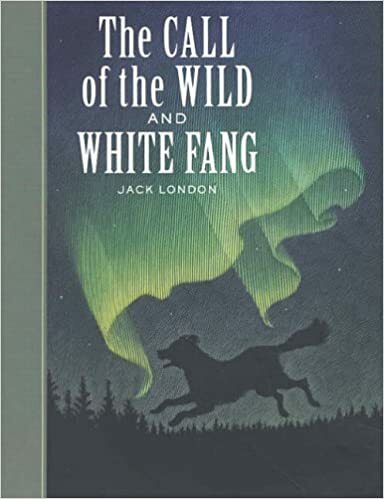 Also set in Alaska, the powerful White Fang follows the often savage life of the magnificent title character, a mix of wolf and dog. Reading Biographies Kershaw, Alex. Jack London: A Life. New York: St. MartinвЂ™s Press, 1998. Kingman, Russ. Jack London: A Definitive Chronology. Middletown, CA: David Rejl, 1992. London, Charmian Kittredge. The Book of Jack London. 2 vols. New York: Century, 1921. Written by LondonвЂ™s second wife. London, Joan. Jack London and His Times: An Unconventional Biography. 1939. Reprint: Seattle: University of Washington Press, 1968. Written by LondonвЂ™s eldest daughter. Stasz, Clarice.